Corrubedo Fontana Arte is a linear-shaped wall lamp designed by David Chipperfield, which delights with its classic design. The light can be adjusted as needed, either pointing up or down. Made from weatherproof materials, the lamp with its frosted stainless steel and polycarbonate diffuser will illuminate your garden, your front entrance or your pool area with a soft indirect light. 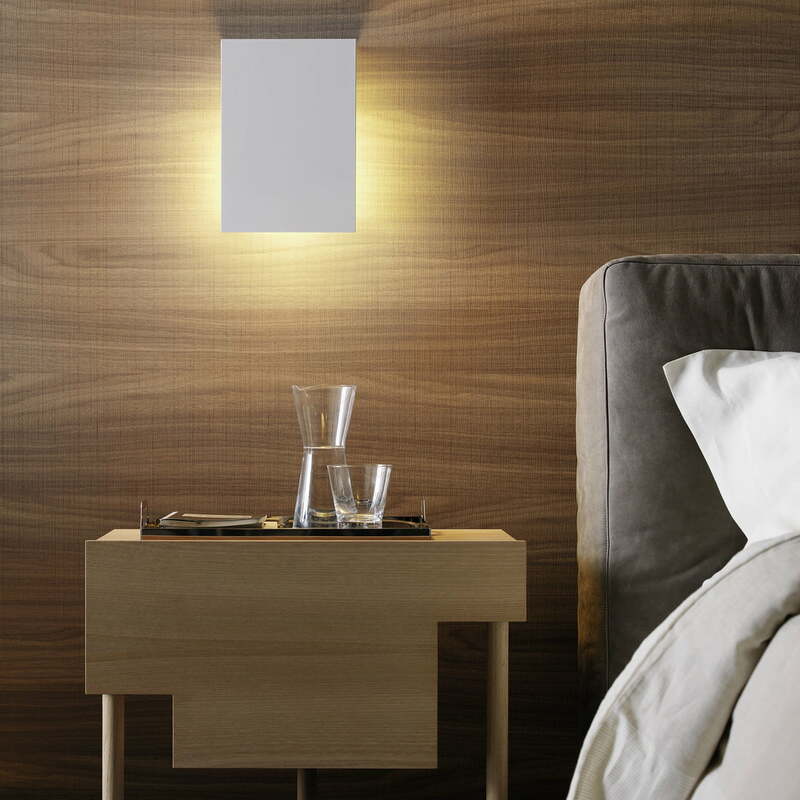 The lamp’s cubistic design is also available for the home in various models. 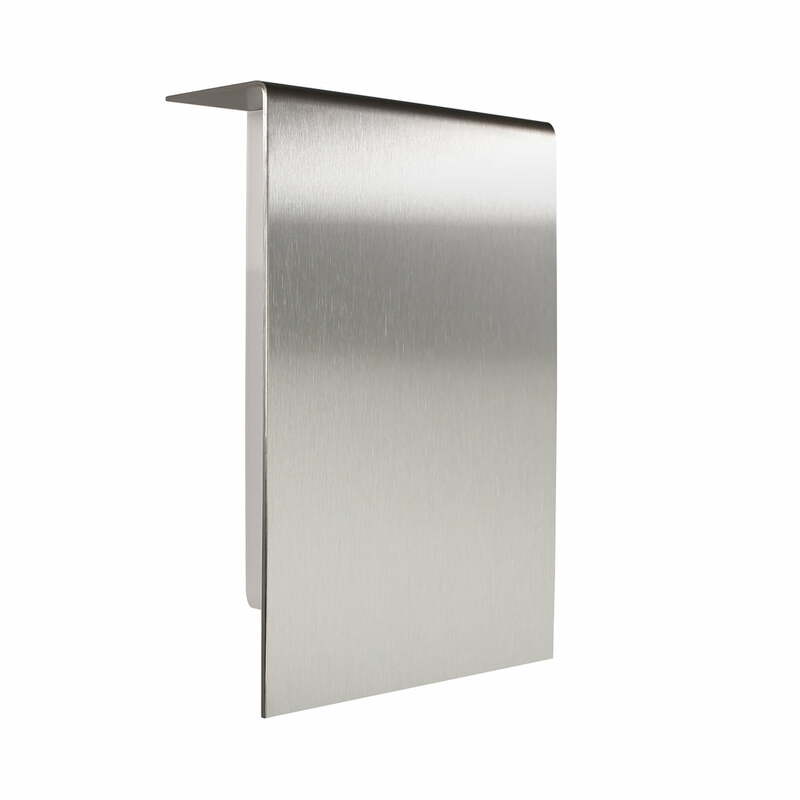 Individual image of the Corrubedo Outdoor Wall Lamp. 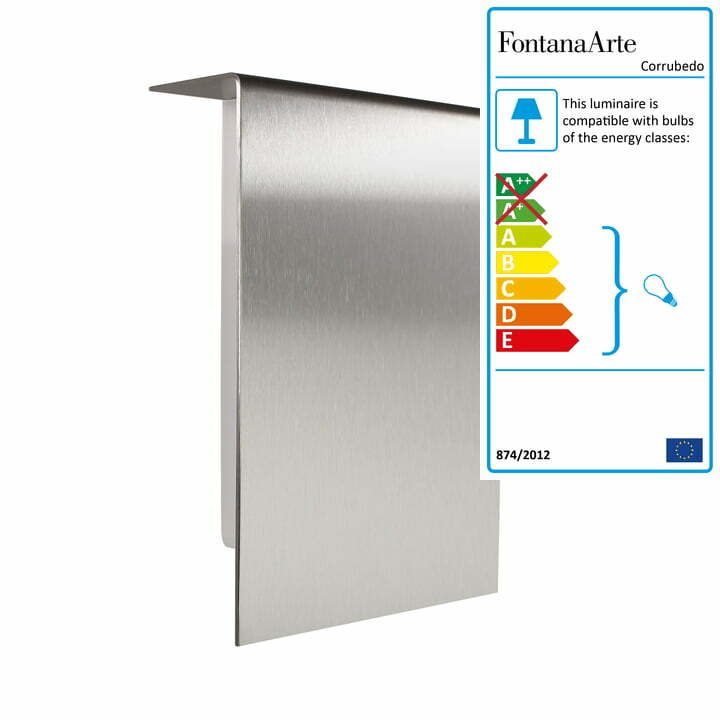 The lamp is made from frosted stainless steel with a polycarbonate diffuser. The protective screen is made from clear borosilicate glass. Corrubedo is a outdoor wall lamp from David Chippedfield for FontanaArte.This outdoor wall lamp has a precise geometric line that can be installed with the light source pointing either up or down, depending on where light is needed.